The Kaduna State Command of the Nigerian Police has arrested a cripple for giving information to a gang of kidnappers in Sabon Gayan Village in the state. The cripple, identified as Kamilu Mohammed, was paraded on Friday alongside eight other suspected criminals arrested for series of crimes, ranging from kidnapping, armed robbery, car snatching and cocaine trafficking. According to a statement by CSP Jimoh Moshood, Force Public Relations Officer, all the suspects were arrested at Sabon Gayan. He said the police also recovered one AK47 Rifle, one locally made Revolver Pistol two Single Barrel locally made gun, seven (7) rounds of AK47 ammunition, one (1) round of live Cartridges and two Toyota corolla vehicles. The statement reads: “Consequent on the gruesome killing of a Youth Leader Haruna Maikudi Maikaji in his farm at Sabon Gayan Village in Kaduna State on Sunday, 12th November, 2017, the Inspector General of Police, IGP Ibrahim K. Idris commiserate with the family of the slain Youth Leader and the people of Sabon Gayan village and mandated Operation Absolute Sanity to fish-out the perpetrators and bring them to justice. “In the course of investigation into the killing and the operation embarked by personnel of Operation Absolute Sanity in Sabon Gayan Village and environ to root out and arrest the killers of the Youth Leader, the Special Tactical Squad team attached to Operation Absolute Sanity on trail of the killers, were ambushed and attacked by the gang responsible for the killing of the Youth Leader. 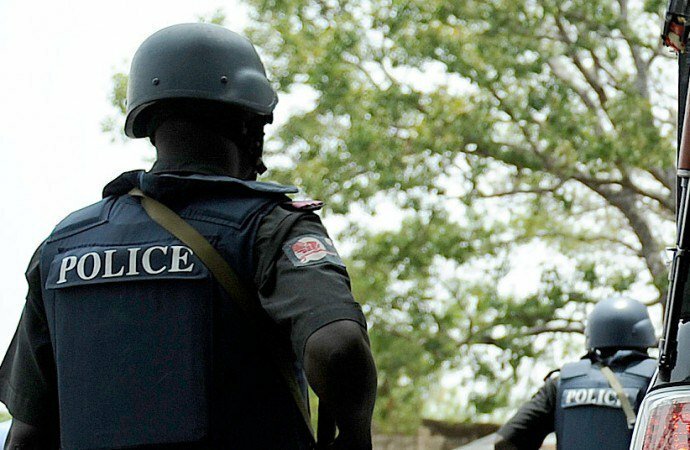 “The information to the Gang was traced to a Cripple, Kamilu Mohammed who phoned the Kidnappers to inform them that the Police are on their way to their hideout in the forest. “The Special Tactical Squad personnel attached to Operation Absolute Sanity repelled the attack and in the process, two (2) of the suspected kidnappers died as a result of the superior fire power of the Police personnel while a Police NCO sustained injury and currently receiving treatment in the hospital. “The Cripple Kamilu Mohammed was later arrested and currently under investigation. “The above mentioned kidnap for ransom gang, car snatchers and cocaine dealer suspects were arrested from different locations and three (3) victims, names withheld, were rescued from their hideout without payment of any ransom. “The suspects were identified by their victims and have equally confessed to the various criminal roles they played in the commission of the crime. “They will all be arraigned on completion of investigation into the cases against them.